Multitester tested for voltage. 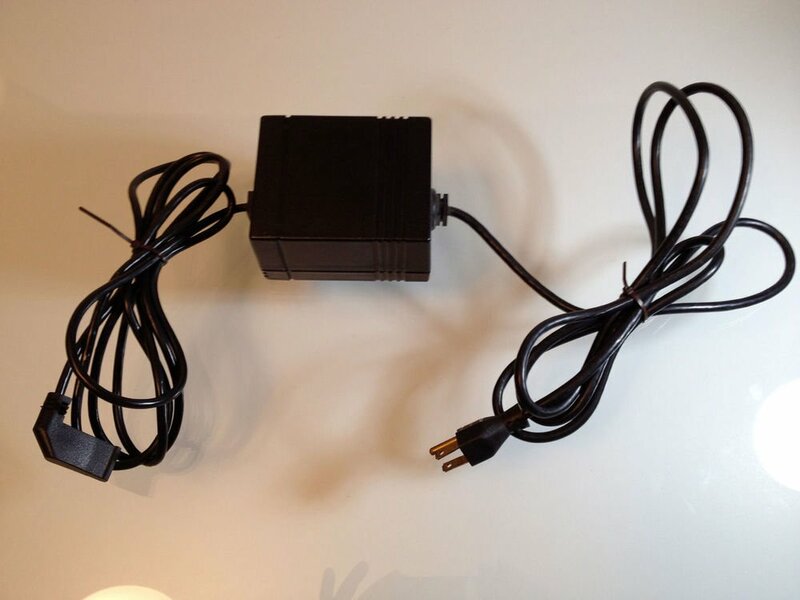 Genuine factory original HP rare and hard to find power supply with the following specs: Input: 120 VAC and Output: 20VDC/2000mA (aka: 20 volt dc 2.0A).Item is compatible with the following HP Products:DESKWRITER 510 PRINTERDeskJet 500KDeskJet 500QDeskJet 505KDeskJet 510 (Europe)DeskJet 525QDeskJet 560KDeskJet Printer / Australian versionDeskJet Printer / Intercon versionDeskjet 520ENTRIA Plus High Res Color Base Unit 4MBENTRIA Plus Station - Color - 4 MB RAMHP APPLETALKHP COLORPRO GRAPHICS PLOTTERHP COLORPRO/QUIETJET FAMILY POWER SUPPLYHP DESKJETHP DESKJET 500HP DESKJET 500CHP DESKJET 520HP DESKJET 550CHP DESKJET 560CHP DESKJET PLUSHP DESKWRITERHP DESKWRITER 520HP DESKWRITER 550CHP DESKWRITER 560CHP DESKWRITER CHP ENTRIA COLOR X TERMINAL - 4 MBHP ENTRIA COLOR X TERMINAL 8 MBHP ENTRIA Hi-Res Color X Terminal 4MBHP ENTRIA Hi-Res Color X Terminal 8MBHP ENTRIA mono X Terminal - 4 MB.HP MODEL 466DX CLIENT - HARDWARE ONLYHP Model 4100DX client - hardware onlyHP Model 425SX client - no monitorHP Model 425SX client 14" Ergo Ultra VGAHP Model 425SX client, 14" Super VGAHP Model 425SXT client - no monitorHP Model 433SX client - no monitorHP Model 433SX client 14" Ergo Ultra VGAHP Model 433SX client, 14" Super VGAHP Model 433SXT client - no monitorHP OpenView for Windows WorkstationHP PAINTJET COLOR GRAPHICS PRINTERHP PAINTWRITER COLOR PRINTER - MACHP QUIETJET - PROTOTYPEHP QUIETJET PRINTERHP SCANJET PLUS IBM PC/AT INTERFACE KITHP Windows Client 4100DXHP Windows Client 4100DX w/WRQ softwareHP Windows Client 425SX eval. bundleHP Windows Client 425SXT - no monitorHP Windows Client 433SX eval. bundleHP Windows Client 433SXT - no monitorHP Windows Client 466DXHP Windows Client 466DX w/WRQ softwareIntercon version of the QuietJet printerNOT AVAIL FOR SPRTProduct Description Not AvailableScanJetScanJet PlusWINDOWS CLIENT 425SXWINDOWS CLIENT 433SXWindows Client 425SX, 14" Ergo Super VGAWindows Client 425SX, 14" Monochrome VGAWindows Client 425SX, 14" Super VGAWindows Client 425SX, 15" Ergo Ultra VGAWindows Client 425SX, 17" Ergo Ultra VGAWindows Client 425SX. 14" Color VGAWindows Client 433SX 17" Ergo Ultra VGAWindows Client 433SX, 14" Color VGAWindows Client 433SX, 14" Ergo Ultra VGAWindows Client 433SX, 14" Monochrome VGAWindows Client 433SX, 14" Super VGAWindows Client 433SX, 15" Ergo Ultra VGAXPU APTREX HIGH RESXPU APTREX LOW RESXPU APTREX MONOSpecial heavy wrapping is provided. S&H in the contiguous USA is $6. (insured shipping).Please see other interesting items by JGritUSPS DELIVERY TIME: As stated in the item listing, seller will drop-off your item to the USPS within 4 days of receiving cleared payment. How long it takes to deliver to your door is strictlywithinUSPS control and not within the control of seller. Please leave 5 stars for seller 4 day drop-off time. Thankyou.